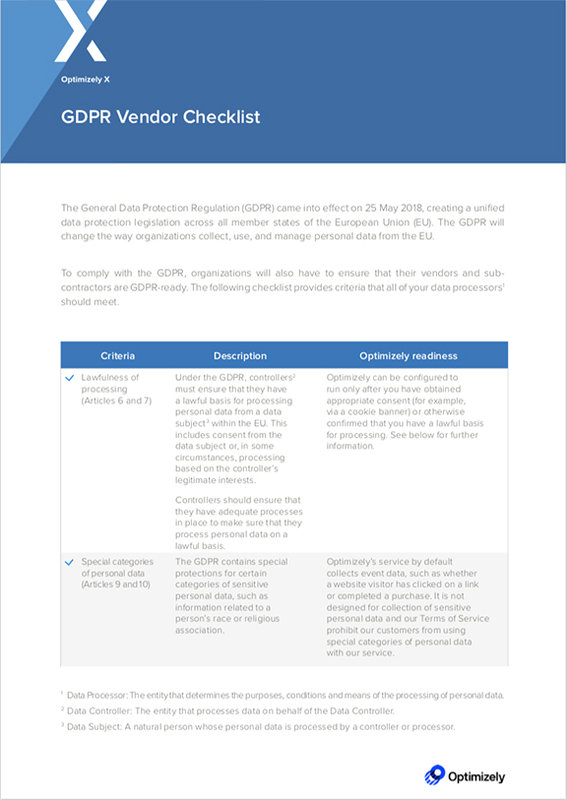 How GDPR-ready is your vendor? The new General Data Protection Regulation (GDPR) will come into effect on 25 May 2018, creating a unified data protection legislation across all European Union (EU) member states. To comply with the GDPR, organizations will have to ensure that their vendors and sub-contractors are GDPR-ready. This checklist provides criteria that all data processors should meet. Please share a few contact details and we’ll send the checklist.